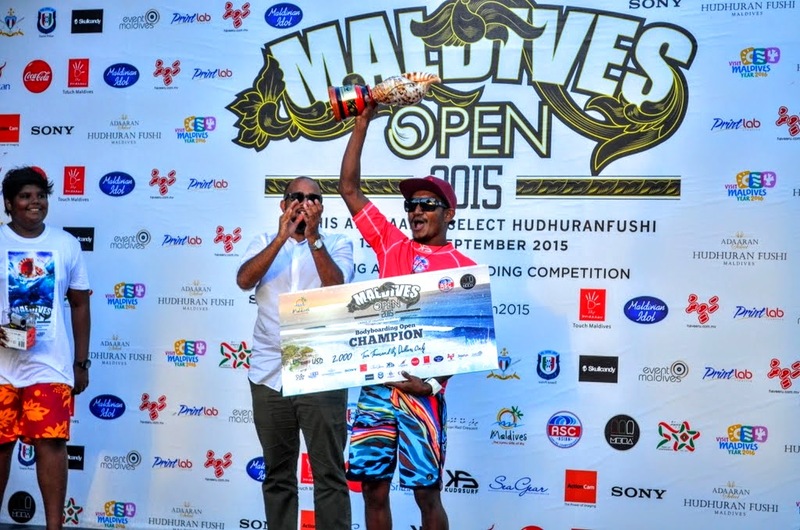 The 2nd Annual ASC Maldives Open 2015 came to an end with the awarding ceremony which took place on 16th September at Lhohis, Adaaran Select Hudhuranfushi. The Honorable Minister of Youth and Sports, Ahmed Zuhoor attended the event as the chief guest alongside the Managing Director of Maldives Marketing and PR Corporation (MMPRC), Abdulla Ziyath. At the ceremony which took place yesterday evening, Minister Ahmed Zuhoor presented the awards for the main category which was the “Men’s Open” category. 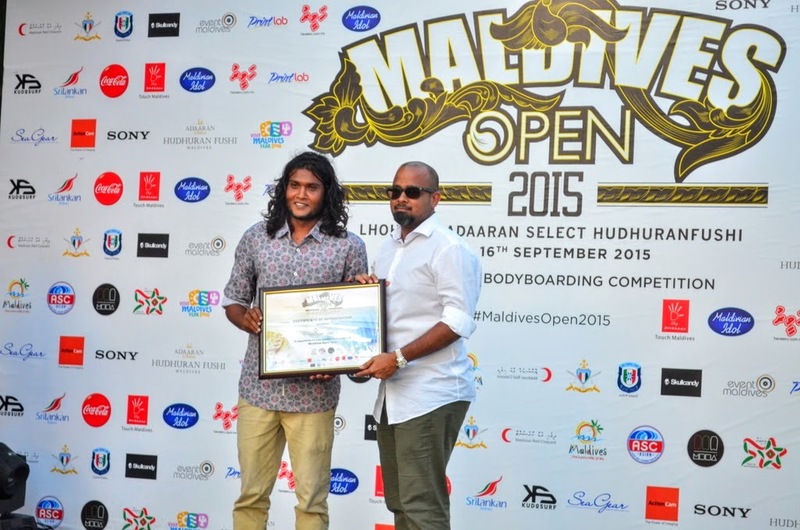 Managing Director of MMPRC, Abdulla Ziyath handed the awards for the “Body Boarding” category, followed by the awards for the “Women’s Open” category for which the awards were presented by the Secretary General of the Football Association of Maldives (FAM), Bassan Adil Jaleel. 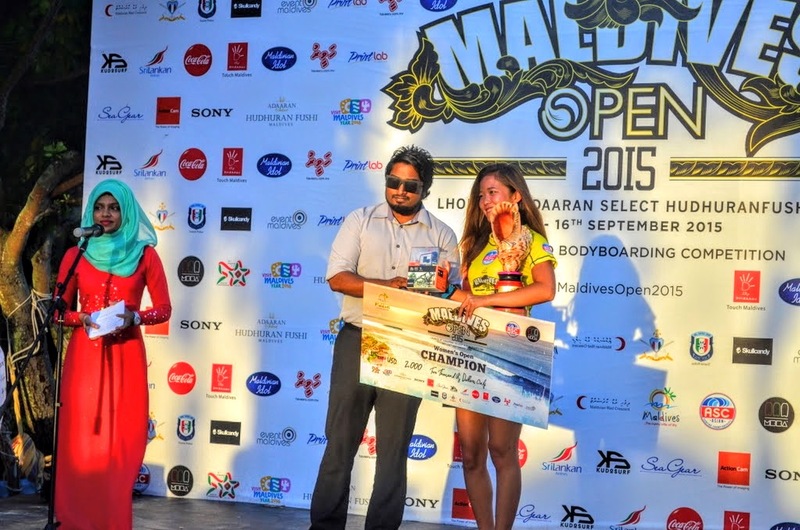 Maldives Open 2015 was a collaborative effort from Maldives Bodyboarding Association (MBBA), Ministry of Tourism and the Asian Surfing Championship (ASC) under a signed MOU for 5 years, starting 2014. This was the 2nd annual event for this championship which ended successfully. This event is hosted by the Adaaran HudhuranFushi Resort every year as the primary host. Several local and international participants were given special awards from ASC, for the recognition for their efforts throughout the competition. The President of MBBA, Abdulla Areef and the vice president of MBBA, Mohamed Khushruwan Ahmed later on expressed their support towards helping the disabled, by giving a generous donation to the Maldives Association of the Physical Disables (MAPD). Afterwards, Certificates of Appreciation were also handed out to all the sponsors by Abdulla Areef for their support and help in making the event a success. The event concluded with a cultural performance by a boduberu group and a cocktail reception hosted by the Adaaran Resort. This event is the third International surfing event to take place in Maldives after O’Neill and Sri Lankan Airlines Pro Surfing Event, which went off tremendously well with a lot of support from the participants and sponsors. 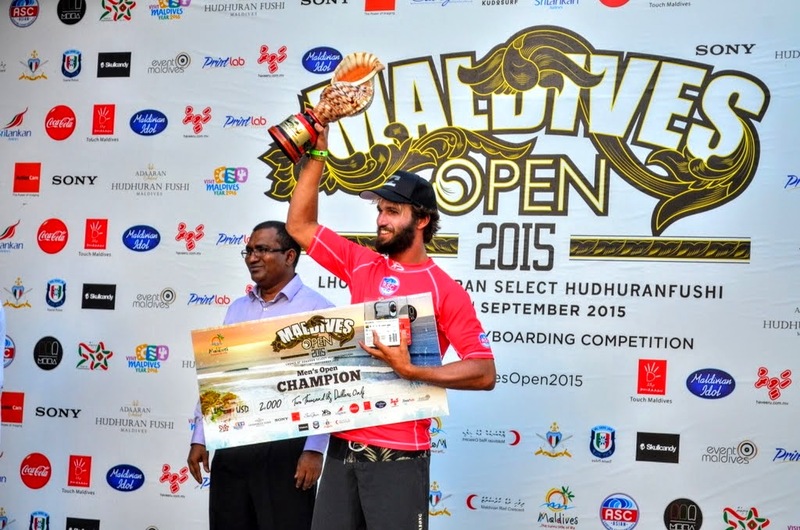 Such events would further put Maldives as a sought after surf destination in the global arena.